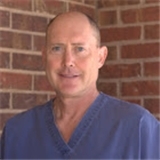 Dr. Mark Santamaria DDS (Desoto) - Book Appointment Online! Have something to smile about with services from our family dental practice in Desoto, Texas. Mark Santamaria DDS believes that education is the key to preventive care and offers services for children and adults. Visit our office today, located between E Pleasant Run Road and E Beltline Road. Dr Santamaria is a great dentist. He is very kind and caring. All of his office staff are courteous and caring. I would highly recommend him to anyone needing a dentist.